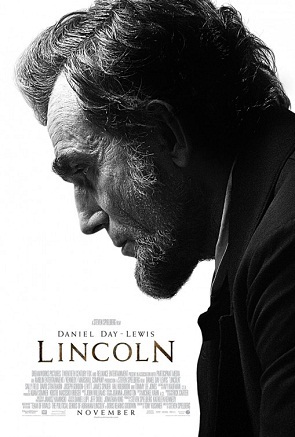 Interesting Stuart Fact – I’ve never seen a film with Daniel Day-Lewis in it before seeing Lincoln this evening. “But wait!” I hear you say, “That’s not in the least bit interesting”. Well all I can say to you is that having sat through that film about the United States’ most famous president and his struggle to get the 13th Amendment – the abolition of slavery – voted through the Senate at the tail end of the American Civil War for two and a half hours, that little tidbit seems like the very definition of interesting. Indeed, the contents of my own handkerchief would probably be more riveting to me at this stage. The very essence of a good film to me is a good story. This didn’t have it. Instead, it was two and a half hours of unwell looking blokes debating in poorly lit rooms about a foregone conclusion. Where is the drama in knowing fine well that the vote would be passed through the senate? There is none. If there had at least been a struggle behind it then it might have been a little bit exciting, but alas there was no drama. Lincoln needed to get some votes, so he sent some of his people to bargain with some of the swaying members on the other side of the house, and he got them. Genuinely, that’s almost all there is to this film. They tried to add a bit of an extra dimension to it by having a couple of lazy subplots concerning his family life; his shaky relationship with his wife, and his son’s desire to fight in the Civil War against their wishes, but neither storyline led anywhere. And the acting wasn’t up to much either. I say that because while it was perfectly acceptable I suppose, I felt that everyone in it was performing their parts with a sort of smug ‘Well this will win me an Oscar’ type way. Urgh, please. The sad thing is though that it probably will. Whatsmore, it felt so self-important. Obviously they had to end the film on the note that he was assassinated in Ford’s Theatre, but after having him leave his office to go there with foreshadowing spread on so thick you could taste it, they show a different theatre where some bloke breaks the news that he’s been killed to the audience. It’s as if it would be beneath them to show the actual assassination. One other thing – the music for the film is unsurprisingly delivered by John Williams. I can’t be the only person sick to death of his highly repetitive scores. Find a new way of delivering incidental music, please!! Some of you will be reading this and haughtily suggesting that I’m not refined enough to appreciate the supposed beauty or intellectual value of a movie like Lincoln. I must be the sort of bloke who is only interested in drivel like The Fast & The Furious or the latest big budget blockbuster. It’s simply not true, as anyone who regularly reads my reviews will attest to; I love a good political drama or biopic and much as the next man. No, to me, this was just dull. It offered – as I’ve already said – no dramatic content and I don’t think I learnt anything that I didn’t already know. If I was to offer it the smallest bit of praise, I’d say the only bit that got even slightly interesting was when the vote took place, even though I knew the result. The thing is though, if you watch shows like the West Wing or have seen supposedly dated movies like Mr. Smith Goes To Washington, you’ve seen all of this stuff done before; only you’ve seen it done immeasurably better. Yes, the events of Lincoln are based on reality, but reality doesn’t always equate to exciting or provide value for money for the cinemagoer. I think this just seems like the sort of film that is hoping to glide through based on who is directing, who is starring and who the subject is, rather than on any genuine merit. Should You Go To See Lincoln. The film isn’t bad, but it is dull, with practically no redeeming features. That it gets 7.9 on imdb either shows that I’m misjudging its supposed brilliance, or it’s getting a blindly patriotic American and or Spielbergian vote. Back in my Argo review I complained about cinema start times are always way off. Well I’ve learned from it, and yesterday decided to turn up to the 4:45 showing of Django Unchained at 5:20, and though the girl selling me the ticket said “Oh, that film started ages ago“, when I went in, the film title card was just showing up on the screen. What’s even more ridiculous is that Cineworld offer a service now where Unlimited Card holders can reserve tickets for collection, but must turn up 15 minutes before the advertised start time. So had I done that, I’d have been sitting in the cinema for 50 minutes before the film actually began, and then had to sit through a film that lasted for almost three hours. But anyway, at least I’ve got utility out of my unlimited card this month. This is like two films rolled into one. The first half is an all guns blazing, over the top Western – going at 100 miles an hour – about a bounty hunter who has taken on a black slave (Django) that can help him identify his next target. 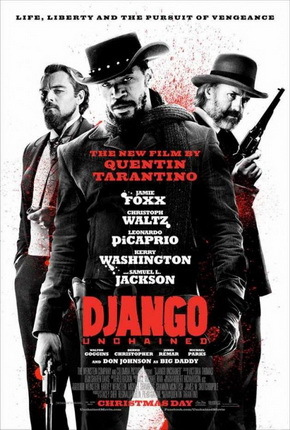 The second half of the film is a much slower burning piece, with the two men looking to rescue Django’s wife, who is a slave of one of the owner of one of the most brutal plantation owners in the Deep South. This is a film that starts off strong. It looks good, it has a suitable amount of gore from the explosive gun shots and it has plenty of moments that are genuinely funny. Indeed, the first half of this film is exactly what I expected from a Tarantino effort going in. But then it slowed down, almost to a crawl. I understand why that is; the first part was merely the setup to the main storyline, where Django and Dr. King Schultz had to play the long game to buy back Django’s wife. The idea behind it was that they would pretend to be interested in purchasing black slaves for fights to the death for a massive price, and then make a far smaller offer – the only genuine offer on the table – for the woman. And while that’s fine, the change of gear from the in your face violence to an over the top examination of race relations from that era – a sort of video nasty version of Song of the South – was so stark that it made that second hour of the film difficult to truly embrace. That’s not to say it was bad, because it wasn’t – both Leonardo di Caprio and Samuel L. Jackson were enjoyable to watch, even if they were playing their parts like cartoon characters – but it slowed it down too much for my liking. Towards the end things heated up again, with mindless, comical violence the order of the day. Some people might say it was too brutal, but it was so over the top it was more amusing than distressing. For me though, it could have lost a good half an hour in the middle, and I’d have enjoyed it far more. Now obviously, using a racist term like “N*gger” in 21st century society is wrong, and rightly so. Even when not using it offensively, like writing a review like this, it still feels wrong to the extent that I feel as though I should censor it. But because of the context of the film and the time it was set in, that word got used a lot. A lot. Now I don’t have a problem with it, but I can’t help but think it was overused to almost childish levels. It was as if the writer knew it was fair game to use it, and thus wanted to get it in there as much as possible. It seemed like he was almost wanting to shock with it, and even someone like me, who doesn’t really get offended by words, noticed it. On the other hand, words like that were just part of the dialect, so maybe I’m being…dare I say it…overly PC. Tarantino’s little cameo was rubbish. That man can’t speak with an Australian accent. The Colonel Sanders, Ku Klux Klan type looked exactly like a member of my extended family who I can’t stand, so I cheered when he got his head blown off. Without spoiling it, the bit with the dogs was pretty horrible. Credit has to be given to Tarantino though for the effective use of music throughout. I particularly liked that he used one of my favourite songs – Ain’t No Grave, by Johnny Cash. It’s a fun film that provides laughs, decent acting and gratuitous violence. And people will go to see it because of the director. But what stops it from being a great film and makes it merely good – to me at least – is that it slowed down in the middle so much that I was begging for it to speed up. It failed my ‘Checking the Watch’ test as a result. If it had been a half hour or even 45 minutes shorter, I think I would have given it my highest recommendation. But like most films these days, it seems to want to last almost three hours, and that’s not something I like. It is still good though, and if you’ve got no problem with films as long as that, it’s worth your time. House of Cards will soon be a programme on the lips of the masses. It’s Netflix’s first exclusive release, and perhaps a sign of a shift from shows being released first on TV and instead coming out on streaming platforms. Who knows if that’ll make money or not, but since my preference is to watch a show all in one go, I’m all for it. With the release of the American remake, I decided to go back and watch the original UK series from the early 1990s. I can’t help but feel that most people my age or younger – who were probably too young to really appreciate a show like this when it was first shown – might have passed it over and now have no intention of giving it a shot. But I think that’s a mistake. to bring down the new PM, but to take power for himself. Over three series, each based on books by former real life Chief of Staff for the Tories, Michael Dobbs, we see Urquhart’s devious rise to power, battles with the monarchy and ultimately his downfall. 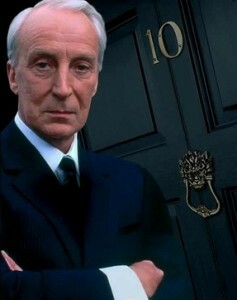 It’s only natural that any review of House of Cards would start with the central figure and the reason why it’s remembered as fondly as it is; the character of Francis Urquhart, expertly played by Ian Richardson. In terms of performance, Richardson is superb as the English Gentleman with a nasty side. He manages to be both charming and malevolent at the same time; not someone to be messed with. But as good as Richardson is – and he is really is exceptional – the real credit has to go to the writer who made the decision to present the character as a narrator. I know it’s been said before in probably every review of House of Cards ever written, but having Francis Urquhart take time out to break the fourth wall and speak to the viewer is a master-stroke. What it does is make us co-conspirators, complicit in his devious plots. And it makes us as viewers feel as though we’re a part of what is going on. And let’s not kid ourselves; Urquhart is not a nice man at all. He’s one of TV’s greatest ever villains and yet we enjoy what we see him do and cheer him on. It’s not a one man show though, as there are plenty of other strong performers flexing their acting muscles throughout. Special mentions must go to Colin Jeavons as the incredibly sleazy Tim Stamper, Malcolm Tierney as the bullish MP Patrick Woolton, and Diane Fletcher as Urquhart’s callous wife, Elizabeth. In the same way as shows like Dexter operate, each season of House of Cards has its own story-arc. Indeed, only the first season is even called House of Cards; to be correct, the second season is To Play the King, while the final one is – aptly enough – called The Final Cut. For me, there is a decline as the series progresses, with House of Cards being the best, To Play the King being very good, but The Final Cut maybe lacking a little bit. It’s still good, but when we’ve seen him defeat his political rivals in the first season, and the King in the second, there isn’t the same level of opposition for him in the end. That said, it has a pretty shocking conclusion. What I found most interesting about the third season was the relationship between FU and his wife. Very slowly over the course of the series it’s shown that she really is the driving force behind him. It’s like people say about business; the real decision maker in any business is the owner’s wife. As good a show as this is, I think one of the most significant barriers to entry for anyone wanting to give it a shot now is how dated it looks. Shot entirely on film, it has that horrible drained look that you could only get from a show filmed in the UK between about 1985 and 1999. You’ll know it when you see it. You can watch a show in black & white or onefilmed on video from the 70s or 80s and they’ll all look newer now than that style of film does. But if you can get past such aesthetic issues – and it would be pretty silly if you can’t – what you’re left with is a great show, and it goes without saying that I recommend it highly. How Will The American Version Compare? So with the UK series fresh in my mind, I’m now looking forward to this US remake more than ever. But how will it compare? Does the US political system even allow for a politician to make his way to the top in the same way as FU managed to seize power? I wouldn’t have thought so, but then most of my knowledge of the US political system comes from the West Wing. Certainly the plot of To Play The King won’t work across the pond, so what I’d like to see from this show is a definitive ending and not a situation where the show is dragged out beyond its natural life in the way that the likes of Homeland are. I don’t think Kevin Spacey – as good as he is – can recapture that vulture-like heelishness of Ian Richardson, but I still think it’ll be one of the better shows we’ll see this year. Football Manager Research: What’s Involved? Who Should Apply? Since I’m being flooded with questions on twitter from people applying to be an assistant researcher on Football Manager, here’s a simple guide to what’s involved and how you can get involved. What do you need to be qualified to help out? A strong knowledge of the club you want to research – i.e. regularly see them play (i.e. season ticket holder) so you can rate the players. There’s no point in asking to be the Peterhead researcher if you’ve never seen them play. We can get basic information off websites as easily as you. A mature and objective outlook to research – i.e. accept that your team aren’t world beaters, especially in the lower leagues of Scottish football, and rate them responsibly. Communication skills above the level of a child – you’d be surprised how many applications I get in txt spk or from people who must be about 12. Also, you must accept the responsibilities that come with being part of the team – by no means should this or does this have to take over your life, but we have deadlines, so if you agree to be part of the team, don’t just leave us in the lurch if you don’t fancy doing it. You have to rate the players at your club according to the guidelines set. As you’ll be familiar with Football Manager, you’ll know about the various stats each player has, and you’ll see they all have their profiles done (i,e, name, date of birth, position, how good they are at things like finishing, dribbling, tackling etc). Well it’s up to you to enter that information. Apart from that you have to keep me up to date on any transfers happening involving your club as well as basic club info (such as debt, club records, kits, stadium info etc). As a part of the team, your opinion will also count when we discuss each others ratings, structure of guidelines and other issues. Do I get anything for helping out? Regular readers of the blog might know that one of the many strings to my bow is that I’m the Head of Scottish Research for the award-winning Football Manager series of games. So it’s my responsibility – aided by my fantastic team of Assistant Club Researchers – to make sure that the information for all the football players, clubs and competitions is correctly included in the game each year. Sometimes the information is easy to come by, but other times it’s not. A good example of information that isn’t easy to come by is certain club and competition records. If the official sources like club or league websites don’t have the information available, it can be a nightmare trying to find it. Unfortunately not every club has a resource as top quality as the Arab Archive, a first class resource for every statistic you could possibly think of for the club I support, Dundee United. But one thing that’s great about the Football Manager community is that there are plenty of enthusiastic football statisticians out there who are happy to help out with information when those official sources are a let down. To clarify, records are for the second, third and fourth tiers of Scottish Football – i.e. when the Scottish First Division was known as the Second Division and so on. Now some of these stats will be out there, but I accept that others won’t be; that’s life. But if you can help me make the Football Manager database more complete, then it would help make the playing experience better in Scotland, and it would also give you a chance to show off your statto-ness, if that’s even a word. How can you get in touch? Well there are three ways. First is that you could leave a message in reply to this post. If you’re interested in vacancies in the research team, they’ll always be posted on twitter. It’s taken me a while but I’ve finally got round to watching the BBC Series – Sherlock. On the whole, I found it enjoyable, with five of the six episodes being very good. The only one that didn’t enthrall me was The Hounds of Baskerville, but I think there’s a good reason for that. 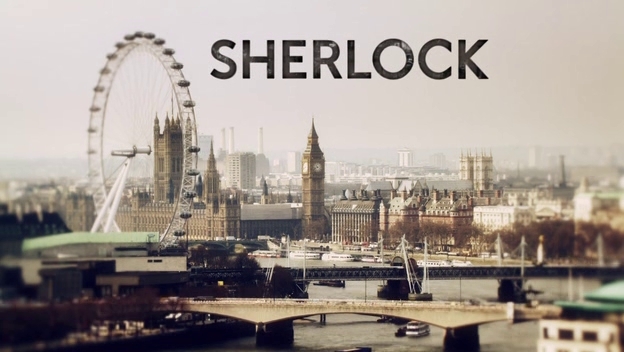 While each of the six episodes are based – in one way or another – on the original Sherlock stories, they have all been modernised so that they work in a contemporary 21st century setting. It’s possible to almost completely re-write a story while still paying homage to it, as they do with A Study in Pink, A Scandal in Belgravia and others, but to pay homage to the original Hound of the Baskervilles, it still needs a giant hound. And I just felt that it was a case of trying to fit square pegs into round holes; it was taking a story that couldn’t really work within the context of the modern show and attempting to try. To get my other niggles out of the way, I felt that sometimes Sherlock himself made some extraordinary deductions that made little sense and were simply explained away as ‘Well he’s a genius, isn’t he?’. Most of the time the writers offered a step-by-step explanation of his deductions, but just once or twice it felt like they were presenting an answer without showing the working, if you know what I mean. Then there’s Mark Gatiss, who isn’t a bad actor, but he’s not a particularly good one either. You might say that he must be quite good because he’s appeared in a number of high profile TV shows, but generally those appearances are in episodes of shows that he writes or produces. He’s taking roles ahead of better actors because he has that power. It’s a very odd form of nepotism, and it would be nice if someone explained to him firmly that there are better actors out there for the roles he writes. The only other thing that annoyed me a bit was the guy who played Moriarty. I appreciate what they were going for – a psychopath who is Sherlock’s equal – but the way Andrew Scott played him just reeked of ‘Textbook TV Intelligent Psycho’. There was nothing original in his performance at all. And that’s a shame because most of the other actors were sound, with Benedict Cumberbatch and Martin Freeman especially excelling on the show. There are only six episodes of Sherlock so far – each around 90 minutes in length – so if you’ve not seen it, it won’t take you long to catch up before the new series begins later this year. In my 2012 Awards, I mentioned that I only went to the cinema 14 times last year. That much is true, but I subsequently remembered that I actually went to a different cinema to see The Artist and therefore had only used my Cineworld Unlimited ticket a grand total of 13 times. What that means is that I paid an average of £13.84 every time I went to see a film. So I’m making a conscious decision to go more often and get some use out of the card in 2013. It’s based on the true story of a family who are separated from each other as a result of the Tsunami that devastated Thailand on Boxing Day 2004. When I was thinking about how I was going to approach this review during the film, I had considered making a flippant remark about how the film was about a woman who cut her leg during a tsunami trying to get to a hospital, because that’s what it seemed to be about initially. And in fairness, beyond the wow factor of the tsunami hitting at the start – a special effect that is done exceptionally well by the way – there isn’t much to it in terms of a plot. But as the film developed it became clear that it wasn’t really about the story moving from A to B to C, but rather about showing the effect the tsunami had on the people caught up on it. Rather than being a ‘Disaster Movie’ in the same way as The Towering Inferno or Volcano where the event is the star of the show, this is more of a study of the immediate aftermath of the incident; the loss, the heartache, the damage the tsunami caused and the chaos in the villages, towns and nearby hospitals. And what you get is a very powerful piece of film. Most of the credit has to go to the actors, who are all very good, and I include the child actors in that. Usually I hate child actors because they are invariably either unconvincingly crap or horribly crafted Hollywood kids who appear to have been bred specifically for the movies (like Macaulay Culkin or the girl from Matilda who you never hear of anymore). But these ones were all convincing. The oldest and most significant one – Tom Holland – took a little bit of time to grow on me because of his bratty English accent, but I have to say he won me over pretty quick. And both Ewan McGregor and Naomi Watts were excellent. In particular, the scene were McGregor’s character breaks down on the phone to once of his relatives is heart-wrenchingly believable. 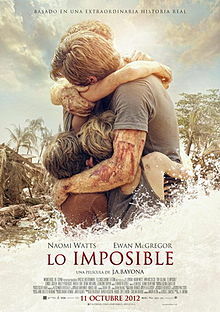 The film is called The Impossible, no doubt because of the very long odds of the family being reunited again after the tsunami hit, but it is based on a true story, so what happens must have a certain element of credibility to it. However, you do have to wonder how much creative license is on display here, because I have to admit I found the way certain members of the family find each other again (and I’m trying to avoid spoilers here…) to be beyond far-fetched. I know that they must have found each other, otherwise there’s no film to be had here, but it just seemed a little bit too coincidental to be 100% true. Maybe I’m wrong, but it’s so out there that if it wasn’t based on a true story, you’d really mark the film down a few points for coming up with such a twee ending. Should You Go To See The Impossible? I think I would place The Impossible on the same shelf as films like United 93 and The Passion of Christ. You watch them, you are drained by the emotional nature of what is on display in front of you, and though you really enjoy it you’re in no hurry to see it again. It gives an eye-opening look into just how bad things were during the tsunami and it holds your attention for the whole two hours. My dad – who I went to see this with – said he felt it could have lost around half an hour of screen time and been better for it, but I don’t necessarily agree; I was enthralled throughout. So I wouldn’t hesitate to recommend you see this film, but I’d be prepared for a more draining emotional couple of hours rather than a Hollywood blockbuster with a dazzling script. You are currently browsing the stuartreviewsstuff blog archives for January, 2013.